If you're acquainted with the December Holiday Spectacular, you know they put on a very good show, with a whole lot of performers singing and dancing up a storm. 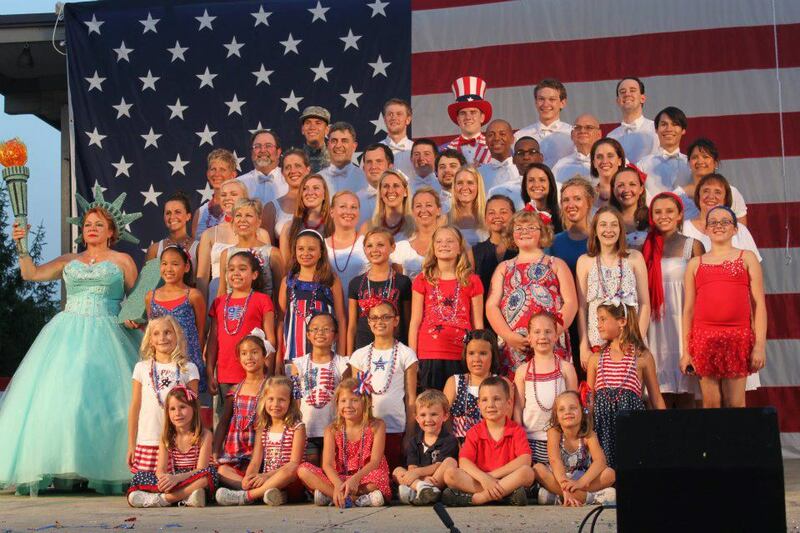 For the past several years, the Holiday Spectacular troupe had spread its holiday joy to July, too, with free "Celebrate America" concerts. This year's "Celebrate America" festivities are planned for Miller Park tonight and tomorrow night at 7 pm. They're promising patriotic song favorites from the past as well as new material, with a cast of approximately 45 adults and kids, plus a special guest appearance from State Representative Dan Brady. You can see the whole cast list here to check on whether any of your neighbors or friends will be tapping, singing or showing their red-white-and-blue colors.